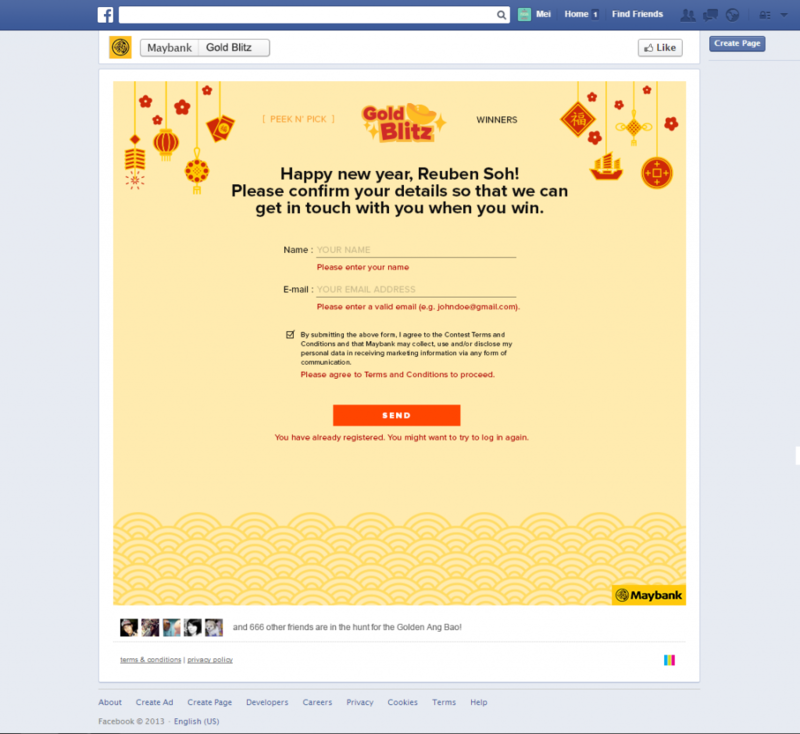 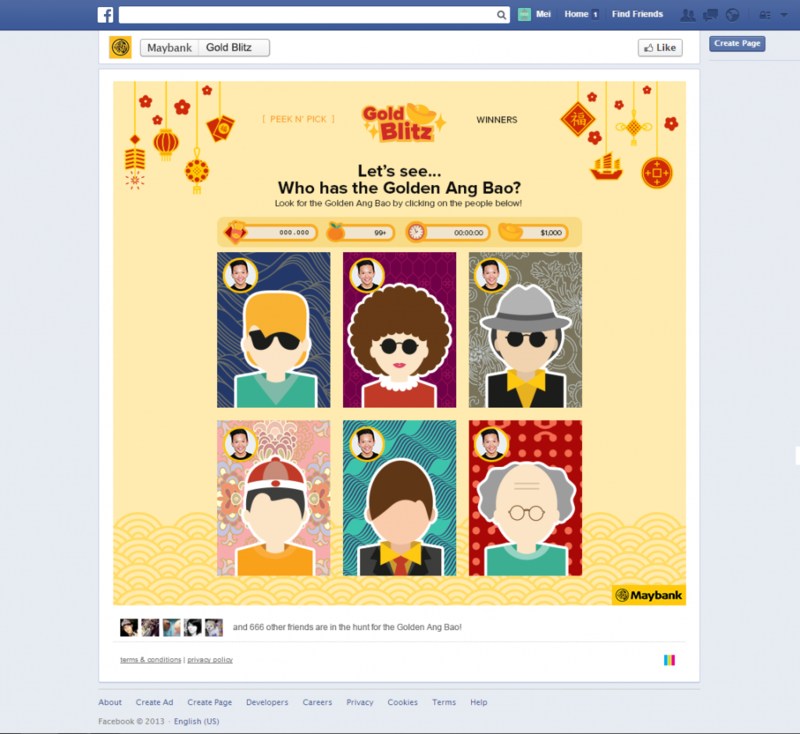 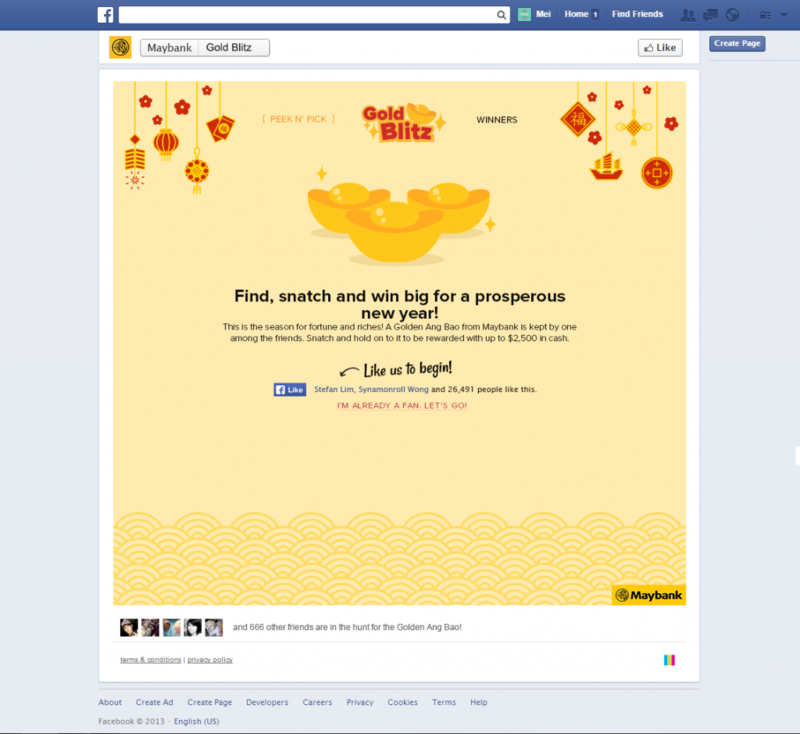 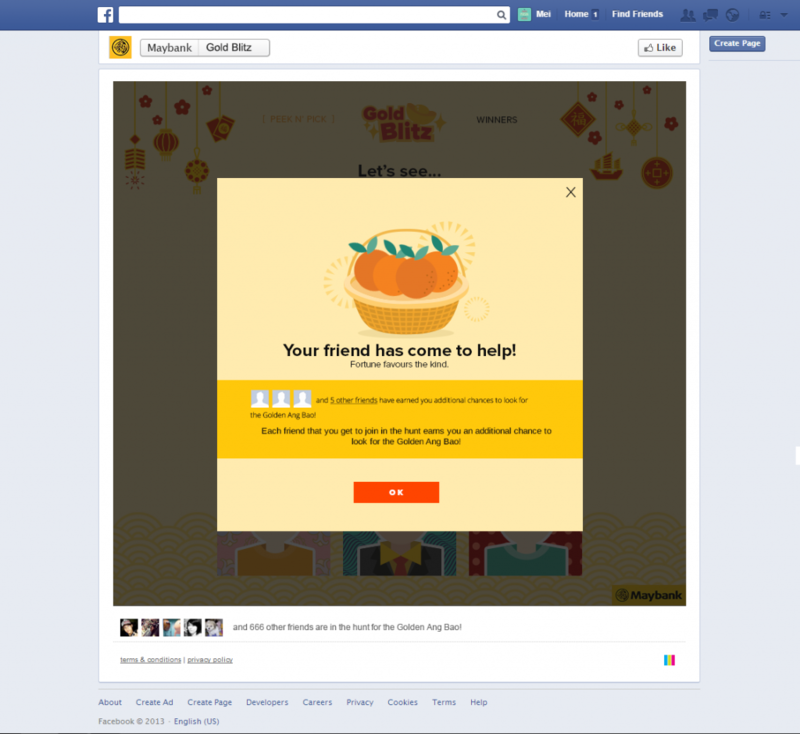 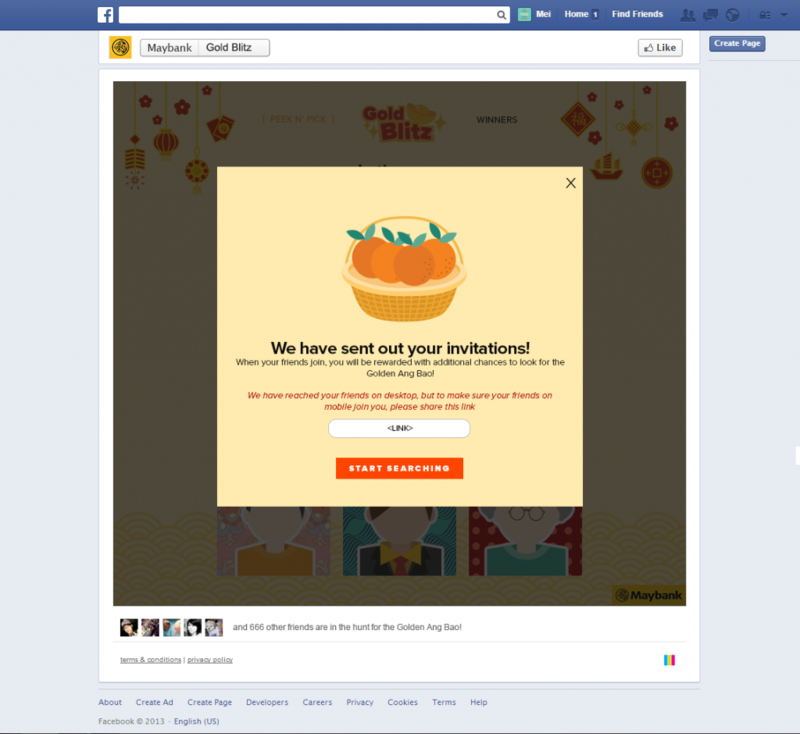 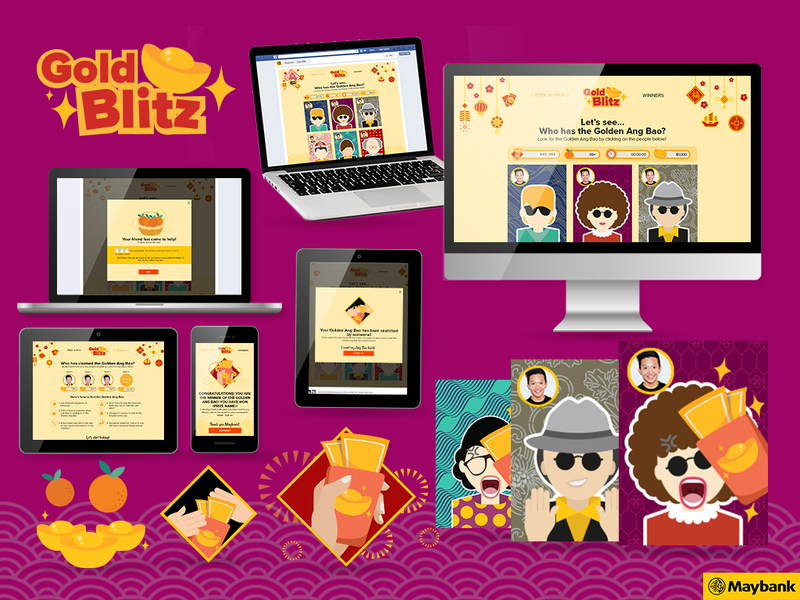 Gold Blitz by Maybank is a Chinese New Year campaign on social media for Maybank Singapore. 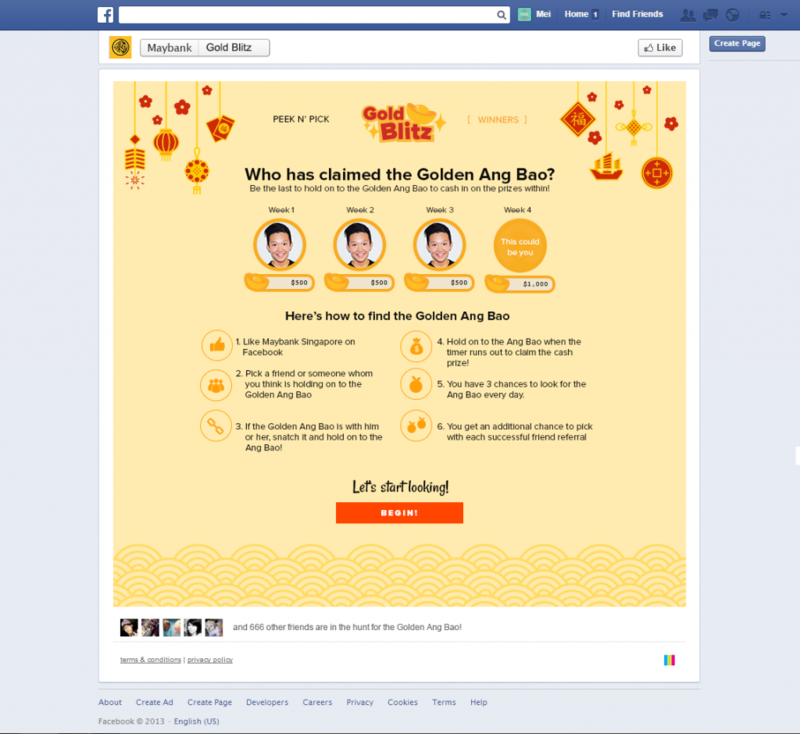 The campaign invites Singaporeans to seek friends who are holders of Ang Baos from Maybank. The Player who is able to hold on to the Ang Bao when the clock runs out wins the cash prizes within. 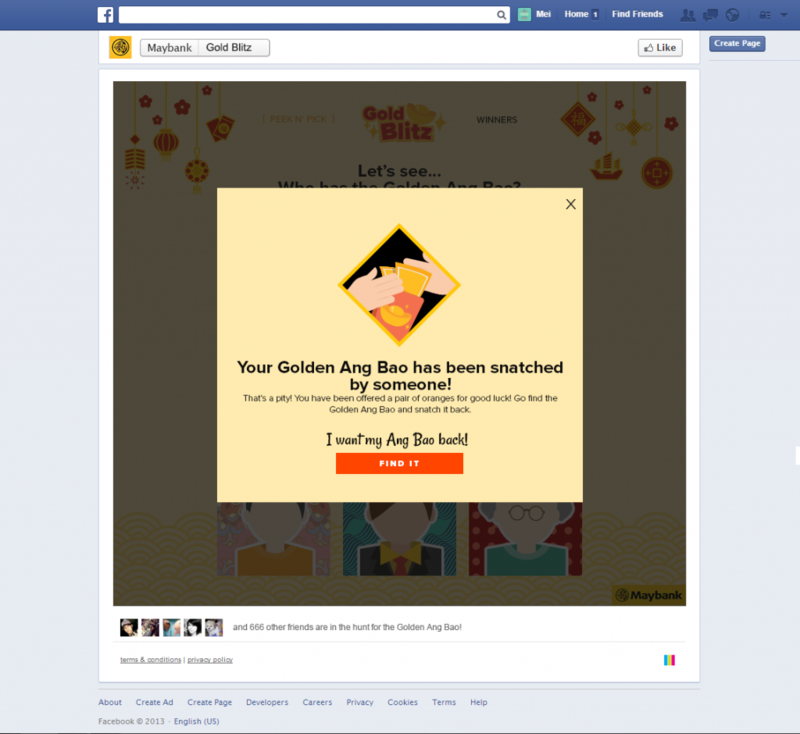 The campaign is run over 4 rounds with tens of thousands of hands changed in each.